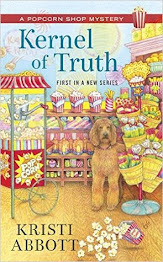 This follows the story of Julia Snowden who helps runs the family clambake business and her boyfriend Chris who runs a taxi service in the summer in Maine this book takes place after Thanksgiving, they have worked with Gus to turn his breakfast joint into a dinner restaurant. This book picks up right from the beginning when Julia and Chris are woken up by Gus going nuts over a dead guy in his walk-in refrigerator. Julia and Chris are stunned and Julia is determined to find out who killed the stranger. The only thing the people who dinned in the restaurant have in common is they were all given gift certificates through the mail that were about to expire. Who sent out these mysterious certificates? Will Julia find the guilty party in time, or is she going to find her out of business instead? 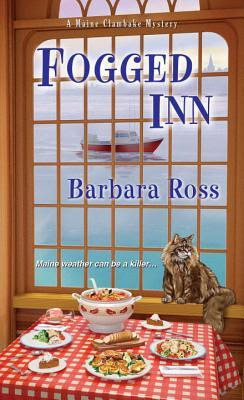 I have to say one thing first before going into my review I love Barbara's cover art they are so beautiful and definitely remind me of Maine and New England in general. This book really captivated me and had me wondering who sent out mysterious certificates and who killed the stranger who just arrived in town. Add to the fact that there is also a major car accident the same night. So many questions so little answers! I love reading this series as it offers all the fun aspects of murder with big mystery that you don't know who did it or why. 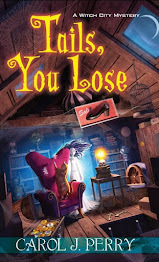 Some cozies you can see where they are going with it not so much in Ms. Ross's books she really pulls you in and find you can't put the book down! The more Julia investigates the more she gets dragged into the past and what happened many years ago and how life turns out in the end. Instead of being a simple murder it went much deeper to the death of two people and a fire in their house. In the end it really was a sad story of relationships, friendships and lost loves. I really enjoyed the different spin Barbara Ross offered with this story!